This is a guide for first time backpackers traveling in Greece. But what does backpacking really mean? 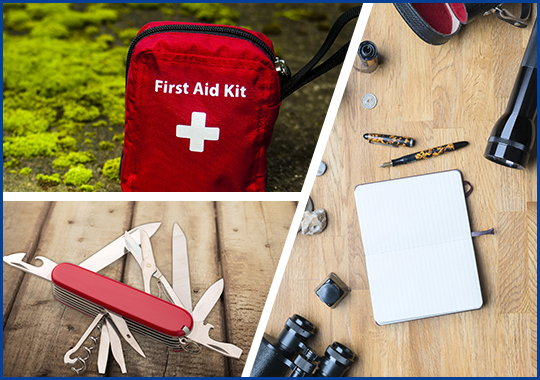 Backpacking means packing life’s necessities on your back while traveling, whether speaking of food, gear, clothing, first aid or personal items. 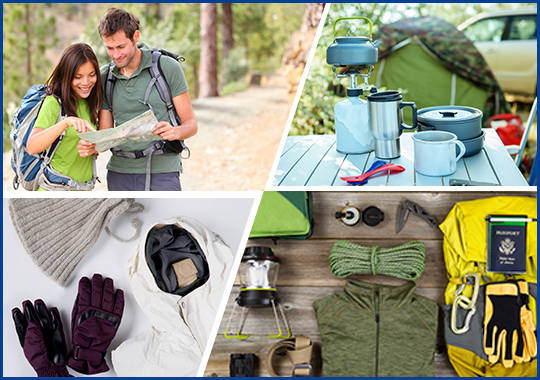 So what would you need to pack for your backpacking journeys in general. Backpacking also means sleeping wherever you end up which means the beach, the mountain, the countryside or a small guest house or hostel. So, make sure to bring along your sleeping bag, tent, rain cover, flashlight, pillow, mosquito repellent and anything you might use for camping. Anything from a backpacking stove and fuel to a cook set, food, water, energy drinks, dishes, eating utensils, cups, towels, water containers, can opener, dish washing soap. Quick drying pants, shirts and shorts, long sleeve shirts, lightweight jacket, hiking boots, socks, extra clothes, raincoat, long pants, gloves and hat, insulated jacket. You will most certainly need a map and a compass, a watch, a gps and a guidebook. Toilet paper, wipes, sanitation towel, sanitizer, toothbrush, prescribed medications, sunscreen and personal hygiene products. Whistle, lighter, life vest, first aid kit, plasters, sterile gauze, bandages, tweezers, scissors, alcohol-free cleansing wipes, thermometer, antiseptic cream, painkillers, distilled water, iodine, alcohol, blister treatment supplies. Swiss army knife, multi-tool, duct tape, repair kit. Book, radio, camera, journal with pencil, cards or games, binoculars. ID, Car keys (optional), cellphone, Credit card, cash. You now know what you need to pack for your backpacking journey, but how can you make the most of your backpacking holiday in Greece in particular? 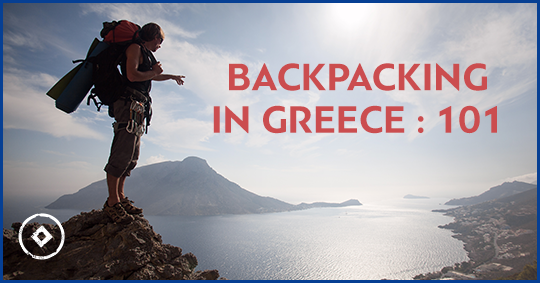 Check here some tips on what you can do in Greece during your backpacking holidays! 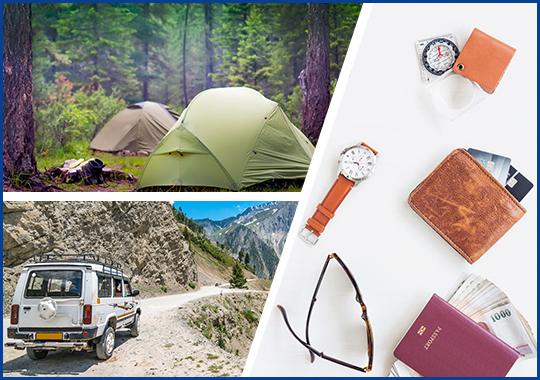 Find a camping site, a guest house, a hostel or rental. Take advantage of free tours and other free things to do at the location you are visiting. Plan an off-season holiday to avoid high prices, crowds and slow service. Backpacking gives you the opportunity to visit more places than one at a time so get ready to island hop and discover some of the most amazing islands in Greece. 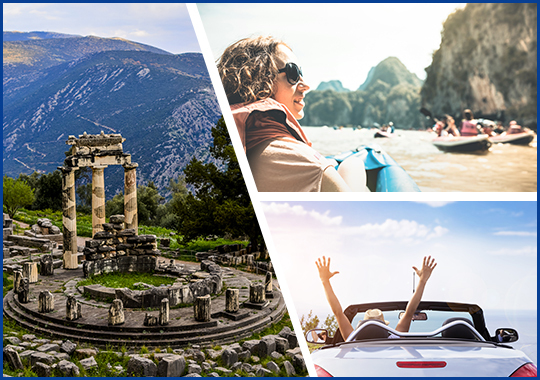 If you’d rather avoid the popular Greek islands then visit the equally spectacular mainland of Greece, preferring places such as Olympia, Epidavros, Meteora, Delphi, Pelion, Trikala etc. When in Greece, do as the Greeks and try to learn at least a few Greek words such as Geia, ti kaneis, eyxaristo, parakalo meaning hello, how are you, thank you, you are welcome. Most Greeks speak English but don’t expect to be able to communicate in English with the elderly. Especially if you are travelling with a few friends it is wise to hire a car so as to avoid all the waiting around for public transportation especially when visiting the islands. If you split the cost, it would probably end up being as much as the amount you would spend in total for any other ways of transportation. Now that we’ve given you all the insight information, best destinations and 101 guidelines for backpacking in Greece, get your gear on and get ready to explore the beauties of Greece at your own pace and convenience. This entry was posted in Cycladia Posts, Tourism Insight and tagged greece. Bookmark the permalink.